Remember Limbo, that bleak, unsettling platformer that stubbornly refused to explain itself and was heartily enjoyed by all? 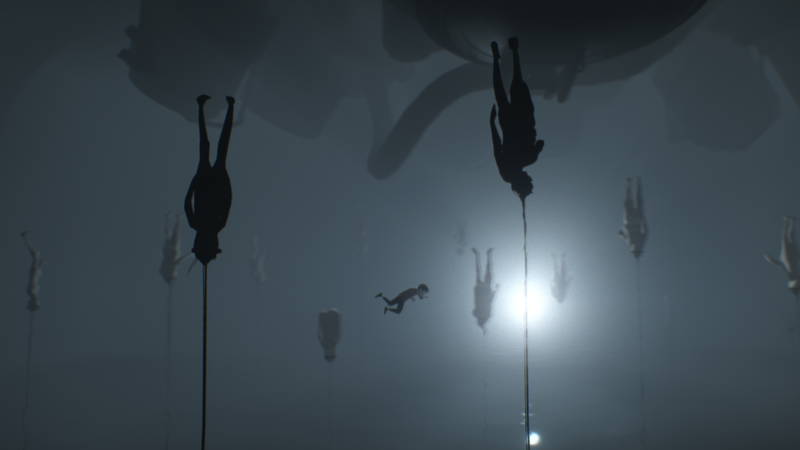 It came from Playdead Studios, and they’ve returned with their follow up title, Inside. We’ve waited until we’ve fully played and processed the experience before commenting on it because we wanted to full experience and not just a taste-test. From the outset it all feels familiar to those who endured Limbo. It’s hauntingly atmospheric, gut-punchingly twisted, features an innocent young protagonist and has simple yet well implemented gameplay mechanics. 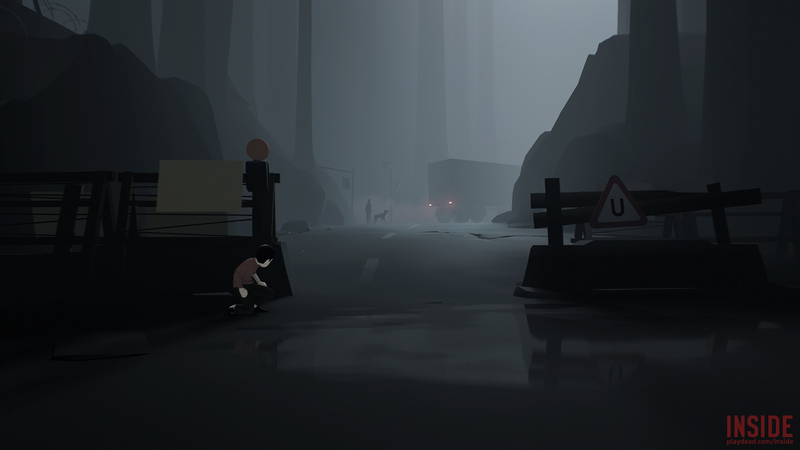 You play as an unidentified young boy who begins his adventure being chased through a forest by shadowy figures with torches and cars who are determined to murder you. There’s no explanation as to why, just the need to keep pushing forwards in a bid for survival. It’s a fantastic beginning to the game that brings with it a sense of urgency and fear as to sprint between the trees and cower in the shadows. As the game progresses you traverse different environments, such as a farm, a city and later submerged office blocks and underground laboratories. Sometimes you’re piloting a submarine and sometimes you’re mind controlling some weird zombies that are often hanging around the place. Regardless of the situation the controls are restricted to movement, jump and grab and all the games puzzles and obstacles are overcome by layering together these actions with various environmental effects. Every screen of the game feels unique, and every situation requires a different approach, but the game is exceptionally good at teaching you the skills you’ll need so they can be applied in later puzzles. Without dialogue or text it is up to the player to work things out as they go, but it’s through brilliant design that you rarely feel at a loss for what you should be doing. No, they save being at a loss for the story itself. Different aspects of the plot are introduced at different times but ultimately it’s up to the player to interpret what’s going on. There are strange, mindless figures around the place and they can be mind controlled through special helmets, and they seem to be used as cheap labour by the general populace, but how it all ties together is uncertain. There are also terrifying underwater creatures, shockwaves, flooding and lots of dead pigs. We’re not going to give anything away but the final half hour of the game is quite unlike anything we’ve played before and we’re no longer convinced that we, the players, were actually the ones in charge. 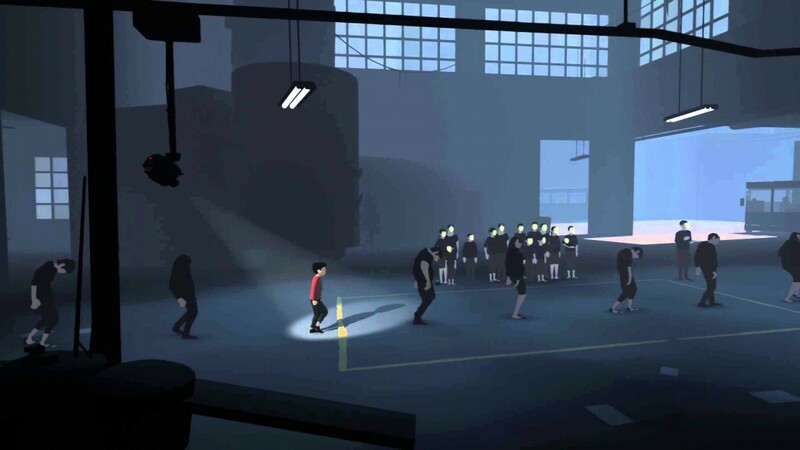 Playdead’s previous outing through existential horror had limited graphics and presentation, but more than made for it in style. Inside shows a massive upgrade in presentation and technology but retains a domineering style. Rather than straight up black and white or greyscale the game is features many extremely washed out colours, most notably the main character’s distinct red shirt. The background is filled with detail and often stretches into the distance. As noted before every area is unique, meaning a lot of time as gone into crafting this title. This is a stand out from the indie market, and any gamer looking for a fresh, thought provoking experience needs to check it out.